QUEENSLAND Derby hero Chad Schofield is expected to make a full recovery after fracturing two vertebrae in a heavy fall at Cranbourne on Sunday. The Victorian enhanced his big-race reputation by piloting Sonntag to victory in the Group One $500,000 Queensland Derby (2400m) at Eagle Farm on Saturday. But just 24 hours later he was involved in a three-horse fall at Cranbourne and was rushed to Dandenong Hospital. Apprentice Ben Thompson and Steven Arnold were also taken to hospital after the incident. Thompson spent the night in hospital after suffering concussion while Arnold was cleared of injury. Schofield, who signalled his arrival on the big stage by riding three-year-old Shamus Award to victory in last year's Cox Plate, was assessed yesterday and cleared of spinal damage. He is not expected to require surgery. 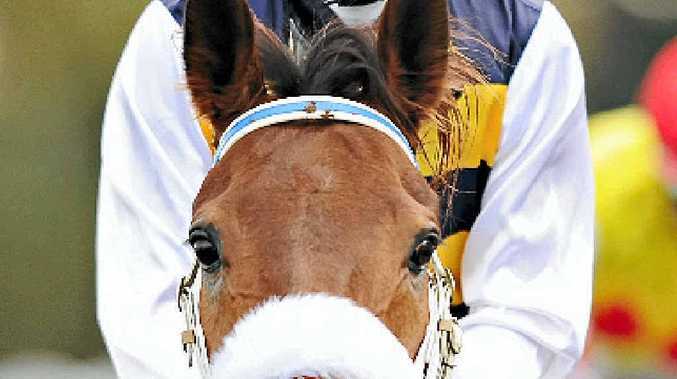 His father Glyn is also sidelined after suffering facial fractures in an accident at Warwick Farm last month when a horse he was on reared up and hit him in the face.